Artificial intelligence is our most powerful technology, and in the coming decades it will change everything in our lives. If we get it right it will make humans almost godlike. If we get it wrong… well, extinction is not the worst possible outcome. “Surviving AI” is a concise, easy-to-read guide to what’s coming, taking you through technological unemployment (the economic singularity) and the possible creation of a superintelligence (the technological singularity). See below for endorsements and a reading. 4. Can we make an artificial general intelligence (AGI)? 5. When might the first AGI arrive? 6. Will AGI lead to superintelligence (ASI)? 7. Will superintelligence be beneficial? 8. Can we ensure that superintelligence is “friendly” (FAI)? Prof. Dr. Hugo de Garis – author of “The Artilect War”, former director of the Artificial Brain Lab, Xiamen University, China “The appearance of Calum Chace’s book is of some considerable personal satisfaction to me, because it signifies the fact that the level of social awareness of the rise of massively intelligent machines (that I call artilects – artificial intellects) has finally reached the “third phase”, which I call “mainstream”. (Phase zero = no awareness, phase one = intellectuals crying in the wilderness, phase two = action groups, phase three = mainstream, phase four = politics). As one of the tiny handful of people in the 80s in phase one, it has been a lonely business, so with Chace’s book explaining what I call “the species dominance debate” to a mass audience, it is clear that humanity is now well into phase three. The down-to-earth clarity of Chace’s style will help take humanity into what could be a very violent, “Transcendence” movie-like, real-life, phase four. Seán Ó hÉigeartaigh – executive director of Cambridge Centre for the Study of Existential Risk: “Advances in AI are set to affect progress in all other areas in the coming decades. If this momentum leads to the achievement of strong AI within the century, then in the words of one field leader it would be “the biggest event in human history”. 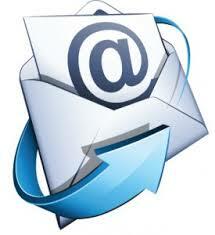 Now is therefore a perfect time for the thoughtful discussion of challenges and opportunities that Chace provides. 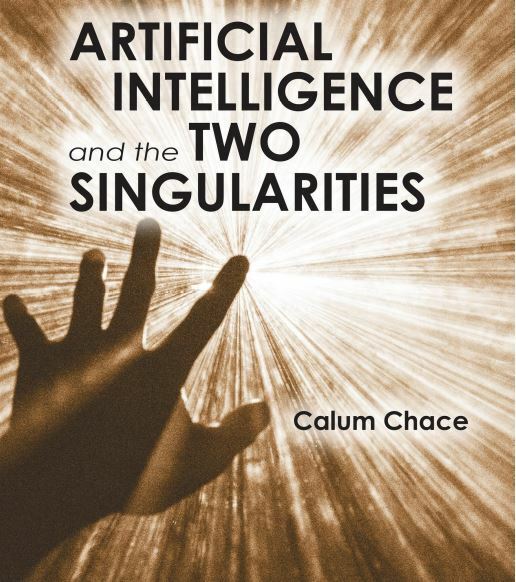 David Wood – chair of London Futurists: “In “Surviving AI”, Calum Chace provides a marvellously accessible guide to the swirls of controversy that surround discussion of what is likely to be the single most important event in human history – the emergence of artificial superintelligence. 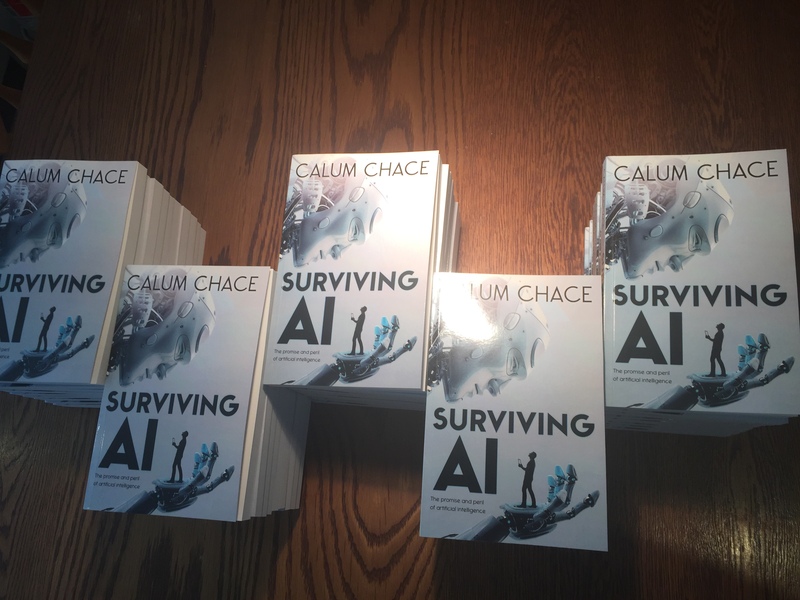 Throughout, “Surviving AI” remains clear and jargon-free, enabling newcomers to the subject to understand why many of today’s most prominent thinkers have felt compelled to speak out publicly about it. Julia’s Day, An extract from chapter 2.